When an accident at sea takes your leg or otherwise disables you from working, how will you support your family? We are here to help. We help critically injured fishermen, seamen, dock workers, crewmen, and general maritime workers navigate the complex waters of maritime law so that they may recover the ability to provide for themselves and their families. 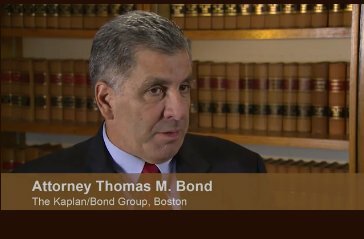 The Kaplan/Bond Group is one of the premier admiralty and maritime law firms in the nation. We have earned our reputation for having a comprehensive understanding of admiralty matters and the maritime law and for our ability to use that knowledge in skillful representation of our clients in claims under The Jones Act, laws specific to commercial fishermen, The Longshore and Harborworker’s Compensation Act, and other industry-specific laws. In fact, attorneys nationwide collaborate with our firm in order to better serve the interests of their own clients when faced with complex admiralty matters and maritime cases. Admiralty and Maritime Law is a unique and highly specialized area of law. It is not something to be dabbled in by general practitioners. It is best handled by attorneys who devote their practice to the study of its ever-evolving nuances and maintain their awareness of the unique traps and pitfalls that plague the more generalized practitioner. In drafting the U.S. Constitution, our forefathers set forth three specific areas of law: Federal, State and Admiralty. As such, the oceans and waterways of the world were specifically set aside so that maritime commerce could be protected by its own set of laws. As such, the admiralty and maritime laws – both international and domestic – have evolved into their own, unique body of law separate from the common state and federal law. Needless to say, the number one mistake made by non-maritime practitioners is the application of the land-based common law. It is a grave mistake that often causes more damage to the client than the Defendant that caused the original injury. Our firm has received many a panicked call from a general practitioner that, through ignorance, has stripped their client’s right to pursue any action at all. The Kaplan/Bond Group has an in-depth working knowledge of these laws and uses it to protect our clients’ rights to recover. Our veteran trial lawyers use a comprehensive approach to preparing for trial that enables our law firm to present the most persuasive presentation possible. We represent the rights of ALL injured seamen, fishermen, and maritime workers including harborworkers and longshoremen. Visitors, U.S. citizens, and “undocumented” workers are all eligible to recover under U.S. Law. Contact us to schedule a no-cost consultation with one of our trial lawyers in our Boston, Massachusetts office or, we’ll come to you.